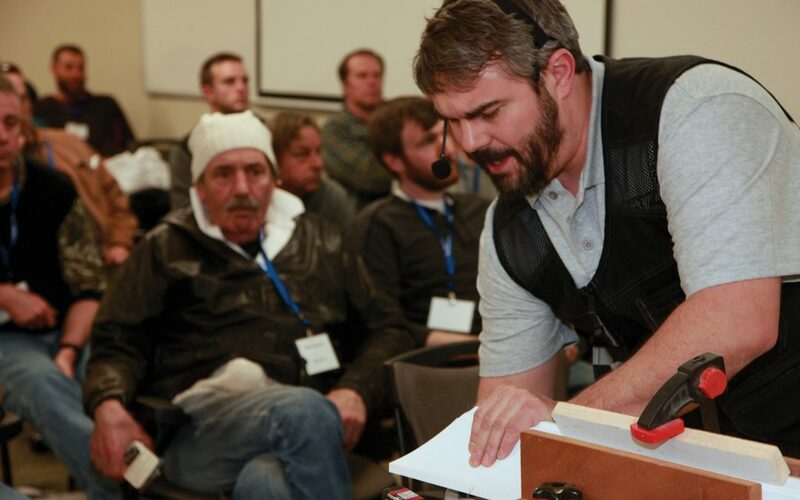 The Katz Roadshow, a unique strategic partnership of leading manufacturers and installation specialists, provides hands-on training clinics for professionals at lumberyards across America. Take your craft and your profession seriously, attend this educational event! Scott discovered carpentry in 1996, after a few years in college and too many random jobs to list. He soon realized that his interests and talents fit perfectly with the challenges of home improvement. After working several years for other contractors, Scott established his own company—Scott Wells Construction Company. As a general contractor based in Southern Oregon, SWCC specializes in high-quality finish work, but also takes on demanding residential remodels, new construction, and commercial tenant improvement. In his spare time, Scott contributes articles to THISisCarpentry, the Journal of Light Construction, and Fine Homebuilding.